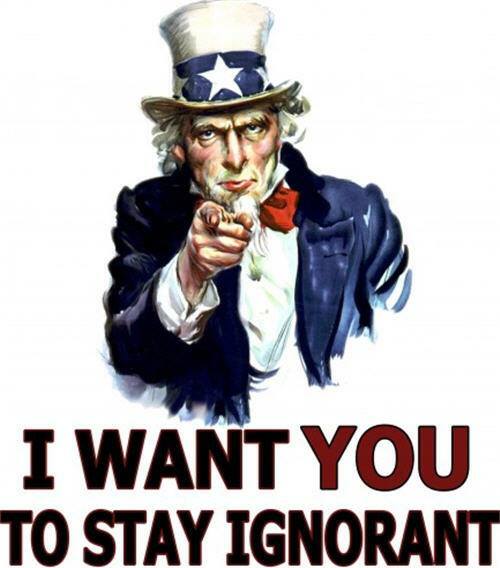 This page first educates about media control, censorship, propaganda, disinformation, and actual mind control programs run by military intelligence agencies, and then lists lots of alternative sources for real news and ways to free your mind. 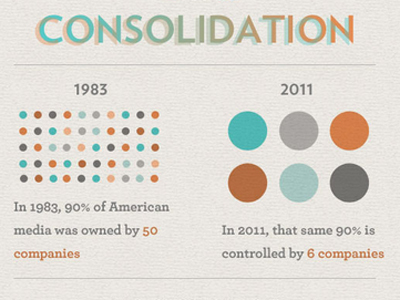 Most people are still getting their news from corporate-controlled TV, radio and newspapers. 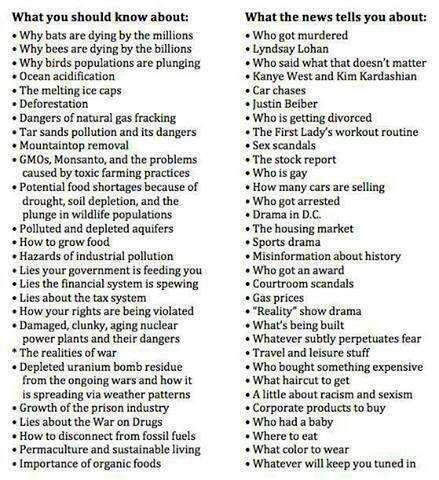 The real news is not there. 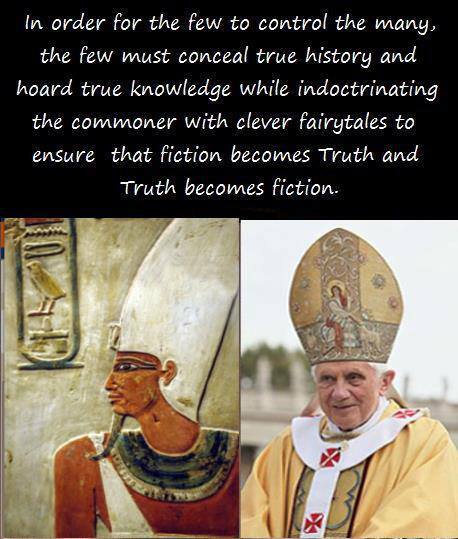 You have to look for it in places that are not controlled by the Cabal. Bread and Circuses: Caesar controlled Rome by keeping the masses fed and entertained. Traveling Bards and Minstrels brought news from town to town. 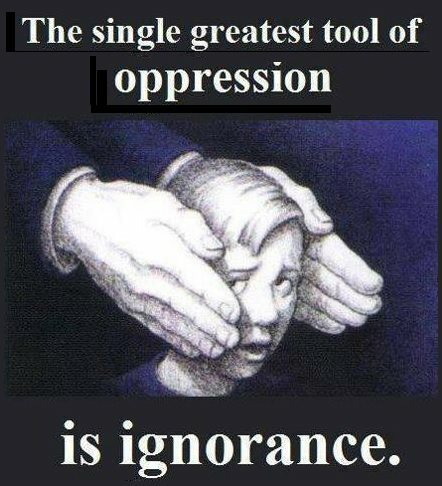 One way to suppress the news was to kill the messenger. 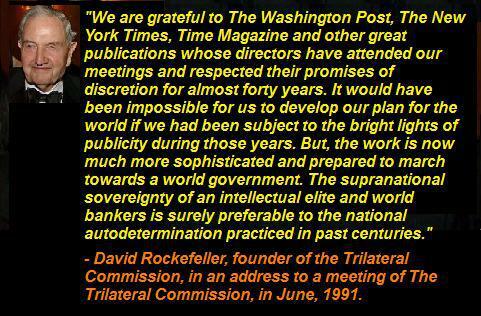 They control television, cable TV, radio, newspapers, magazines, and movies. See the percentages. 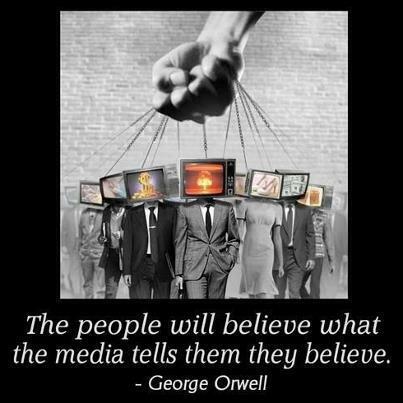 The take-away is that all mainstream news is totally scripted, and networks feed the TV audience (the majority of the population, who don’t read newspapers any more) canned talking points specifically designed to shape public opinion and herd the sheeple. Think it through a step further: all sitcoms, morning shows, and TV dramas are screened and censored. At a minimum, themes are suggested. At worst, as shown in these clip compilations, entire news stories and “memes of the day” are scripted and spoon-fed to the TV audience, and any dissenting opinions, rebellious thoughts and unapproved story lines are axed. More news clips showing news stations across the country reading from the same scripts. Documentary ~ Psywar ~ Excellent documentary on the evolution of propaganda and public relations in the US. 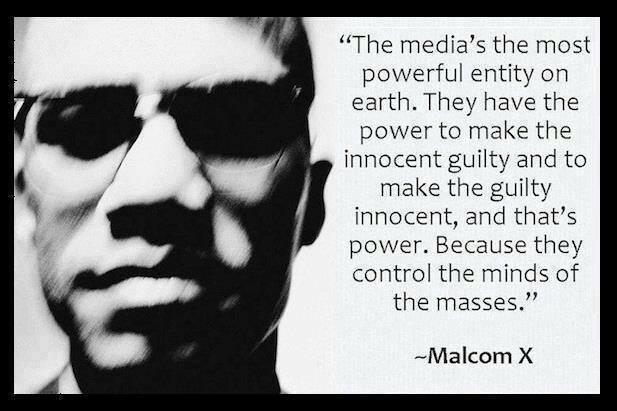 Exposes the propaganda system, providing crucial background and insight into the control of information and thought. Documentary ~ The Power Principle ~ An excellent non-profit documentary, released online for free. Jon Stewart got Crossfire taken off the air. He was invited on the show to promote his new book, and instead, he used the time to criticize the two hosts (representing the Left and Right sides of the political spectrum) for doing theatre instead of real political debate. He called them partisan hacks, said they were working for the politicians and corporations, and said that calling what Crossfire does “debate” is like calling “Pro Wrestling” real athletic competition. Here’s a review from Common Dreams, a non-profit progressive media group. Mythbusters wanted to make an episode about how trackable and hackable RFID chips were. Everyone would have learned more about the technology that’s invisibly invading our lives. But Credit Card companies prevented them from airing the episode. Funny, and chilling. The December 5, 2011 issue of TIME Magazine has a different cover in the United States than in Europe, Asia, and the South Pacific. 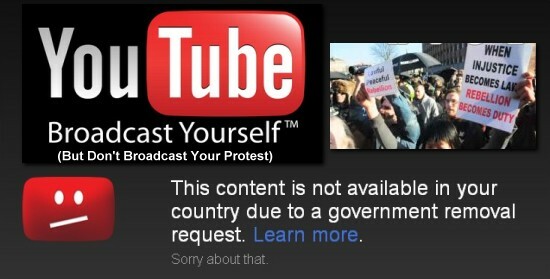 This is a blatant attempt to limit American discussion of the uprisings taking place in other countries. Censorship of TED Talks containing heretical thoughts not approved by the Board of Directors of TED. 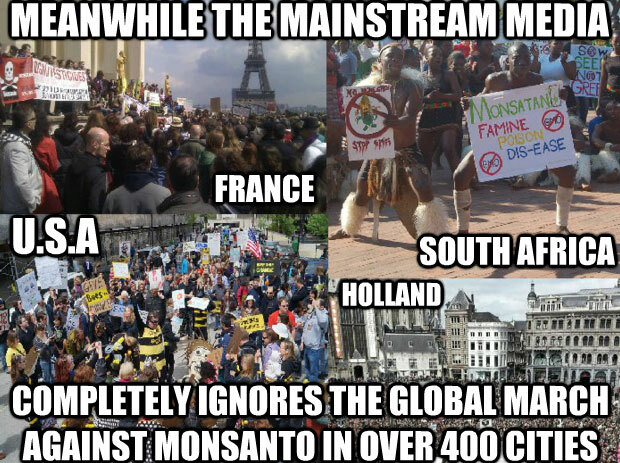 In another offensive display of outright censorship, there was no mainstream media coverage of what should have been the lead news story all across the world, or at least in the 400 cities where protests took place, on the day of the Millions Against Monsanto marches. But there were no such news stories. A small grass-roots movement that started on the internet grew into roughly two million strong across 52 different countries, protesting and marching against GMOs and Monsanto. The only media coverage was by independent and citizen journalists and bloggers. Filming a Fake Protest with Morsy Banners ~ Maybe in Egypt, Maybe Not! Jon Stewart Blasts CNN Anchors for Faking Split Screen Satellite Interview…From the Same Parking Lot. CNN and other news organizations had sent too many of their reporters to Phoenix, Arizona, so when news broke somewhere else, they pretended to cover it live, even though the two reporters were about 6 parking spots away from each other in a parking lot in Phoenix. 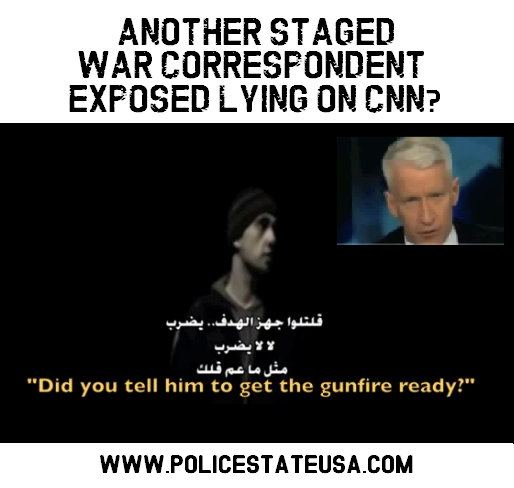 CNN International wouldn’t run a piece by Amber Lyon about crushing of protests in Bahrain. Amber investigated why not, and discovered that CNN has contracts with many foreign governments to produce favorable news stories, and to modify or censor unfavorable ones. To try and shut her up, CNN threatened Lyon with loss of her health insurance and severance pay. 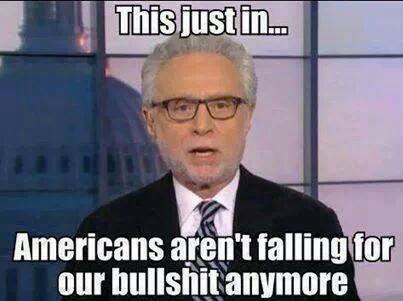 Amber Lyon proved that CNN is both airing false news and censoring real news. Here are a short version and a longer version of Amber Lyon’s original reporting on the protests and human rights abuses in Bahrain. This is the documentary that was aired only once in the United States, and never aired for its intended audience on CNN International. 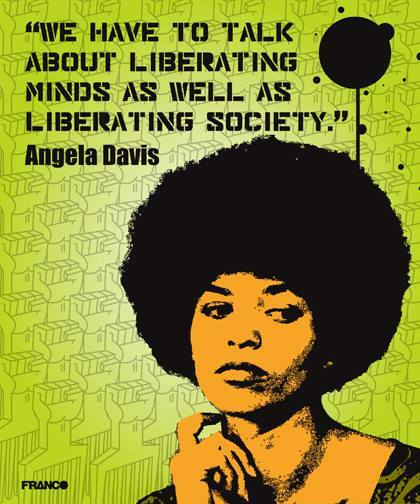 One of the main techniques used to control popular opinion is ridicule of alternative opinions. Here is an excellent article on the derision and condemnation which awaits people who are skeptical of official versions of events force-fed to the public via government officials and media broadcasters.